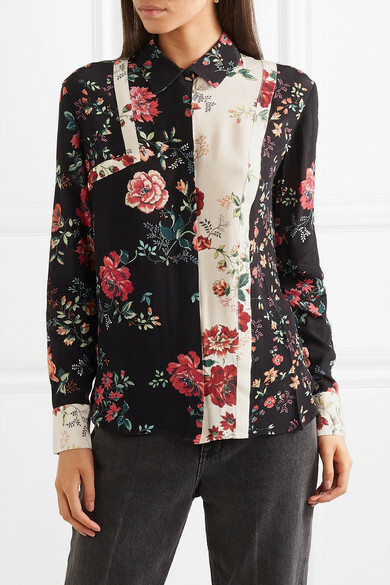 A floral shirt is such a fresh way to update your work wardrobe for spring. 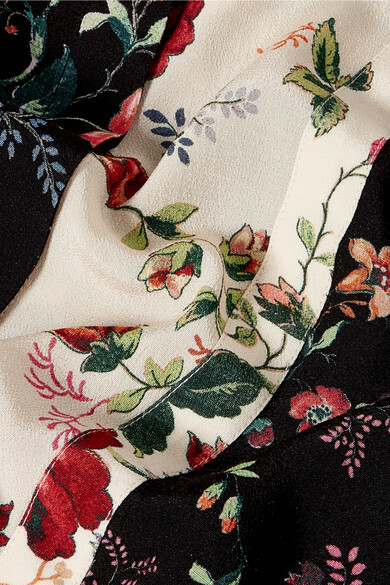 Spliced with two blossoming prints, Maje's one is cut for a slightly loose fit from smooth crepe. 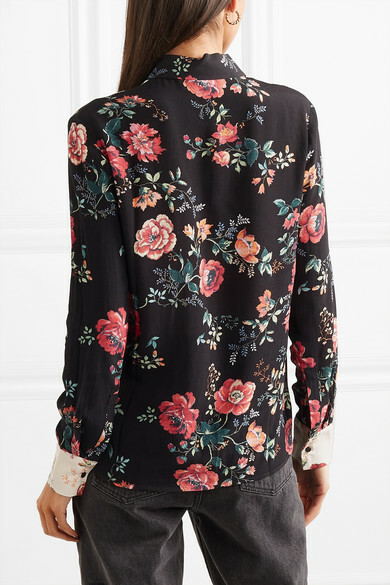 Wear it with at least the two top buttons undone. 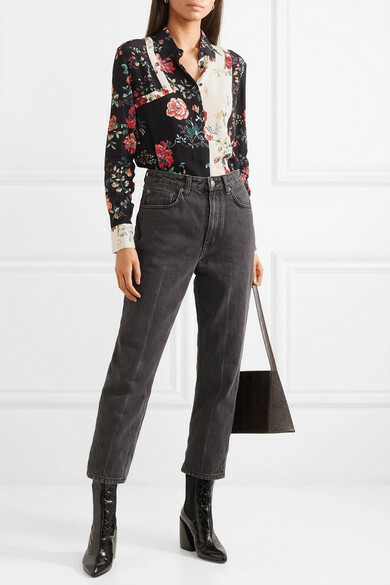 Shown here with: Ksubi Jeans, LOW CLASSIC Shoulder bag, Chloé Ankle boots.